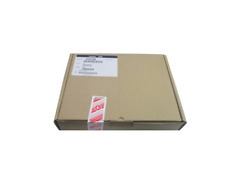 UMA,Furukawa (04X1850) is compatible with the following machines SNUG ALL HOLD DOWN SCREWS ON HEATSINK BEFORE FINAL TIGHTENING, THIS WILL PREVENT WARPING OF HEATSINK. THE OTHER MODEL WILL HAVE 2 HEATSINK PADS ONE FOR CPU & ONE FOR GPU. For IBM Lenovo W500 T500. CPU FAN WITH HEATSINK. 1 x CPU Fan with heatsink. It can be used interchangeably. Photo is for reference only. Hope you understand. This is our SOP, for us to be certain and for record purposes. 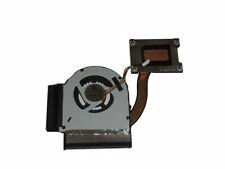 Original Heatsink CPU Fan For IBM Thinkpad R61i R61e 42W2403 MCF-219PAM05 15.4"
Lenovo P/N: 42W2403. R61 R61i R61e T61 T61P. for IBM Thinkpad Lenovo. CPU FAN WITH HEATSINK. 1 x CPU Fan with Heatsink. It can be used interchangeably. Photo is for reference only. Hope you understand. 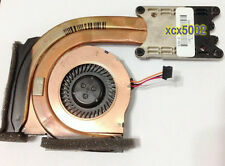 For IBM Lenovo Thinkpad T430S CPU Cooling Fan & Heatsink UMA (Integrated). Defective products can be changed during the warranty. For LENOVO. 1 x CPU Cooling Fan. This is our SOP, for us to be certain and for record purposes. We might require you to send us photo/s of the item received and also your original item so we can compare and conduct necessary actions. 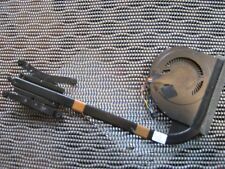 New OEM Lenovo CPU Fan with Heatsink For Thinkpad W500 T500 FRU 45N5492. 5 out of 5 stars - New OEM Lenovo CPU Fan with Heatsink For Thinkpad W500 T500 FRU 45N5492. 8 product ratings8 product ratings - New OEM Lenovo CPU Fan with Heatsink For Thinkpad W500 T500 FRU 45N5492. IBM Thinkpad X200 X201 X201I CPU COOLER FAN 45N4782, 34.47Q22.001 Brand new! FRU: 45N4782. Compatible with Laptop Models: IBM Thinkpad X200 X201I X201. connector: (3 wire)3-pin connector. 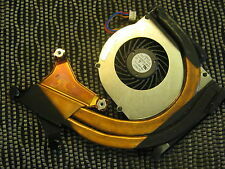 Genuine CPU Cooling Fan for IBM Thinkpad X60 41V974. Item Information. FRU: 04W3269 04W3270 04X3788 0B41088 0B41089. For Lenovo Thinkpad T430i Series. For Lenovo ThinkPad T430 Series. 1 x CPU fan. Good quality with reasonable price. This is our SOP, for us to be certain and for record purposes. IBM Lenovo / Thinkpad R61 R61I R61E SERIESCompatible Part numbers 1x CPU Fan Heatsink. 1x Thermal Paste. This item might not work to ALL series. Photo is for reference only. This is our SOP, for us to be certain and for record purposes. Lenovo Thinkcentre M83 M93 AVC Cooling Fan. Working pull from Lenovo M92p Tiny units. No exceptions. 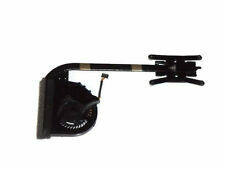 Lenovo part number 03T9950 03T7295. OEM Lenovo ThinkCentre M73 Tiny Form Factor CPU Heatsink. A real pleasure. My 3rd buy. Will buy from again! Great PC, the 2nd I've bought from him! Works And Looks Like New. For IBM Lenovo Thinkpad X201 X201I FRU 60Y5422. for IBM Lenovo ThinkPad X201 X201I. 1 x CPU Fan with Heatsink. It can be used interchangeably. Photo is for reference only. Hope you understand. Direct Current: 5V. 460.00W03.0001 Fan/Heatsink assembly professionally removed from a laptop with a systemboard issue. Compatible with Laptop Models: IBM Thinkpad X200 X201I X201. connector: (3 wire)3-pin connector. Lenovo 5H40H35615 Thermal Module L Yoga 3 14 dual fans. Condition is New. It can be used interchangeably. Photo is for reference only. Hope you understand. --- 1X CPU Fan. Trending at $12.91eBay determines this price through a machine learned model of the product's sale prices within the last 90 days. V1.B3534 Wire Length: 55mm, 4-wire 4-pin connector. SNUG ALL HOLD DOWN SCREWS ON HEATSINK BEFORE FINAL TIGHTENING, THIS WILL PREVENT WARPING OF HEATSINK. Pulled from a working S20 machine. 42X5064 LAPTOP FAN HEATSINK IBM T400 ATI GRAPHIC SERIES "GRADE A"
THIS IBM FAN AND HEATSINK WAS PULLED FROM A NEW IBM T400 SERIES "GRADE A"
45N6147 LAPTOP FAN HEATSINK IBM T400 ATI GRAPHIC SERIES "GRADE A"
THIS IBM FAN AND HEATSINK WAS PULLED FROM A NEW IBM T400 ATI SERIES "GRADE A"
Lenovo ThinkCentre Desktop PC SFF M93/M83/M73 M93P Series SATA Power Cable FRU 54Y9378. Never order parts by saying “this item states it is for the IBM xxxxx and I have an IBMxxxxx” When ever possible I state the model and sub model #. SNUG ALL HOLD DOWN SCREWS ON HEATSINK BEFORE FINAL TIGHTENING, THIS WILL PREVENT WARPING OF HEATSINK. 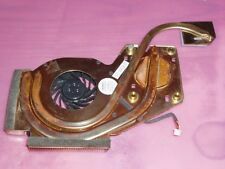 90202127 LENOCO CPU COOLING FAN P400 P500 "GRADE A"
THIS CPU COOLING FAN WAS PULLED FROM A NEW LENOVO P400 P500 SERIES "GRADE A"
Genuine Lenovo X315 AMD CPU Cooling Fan + Heatsink P/N 31039315 Tested!! !